Valentine’s Day is coming up in a month and we decided to get an early start on our homemade Valentine’s Cards. 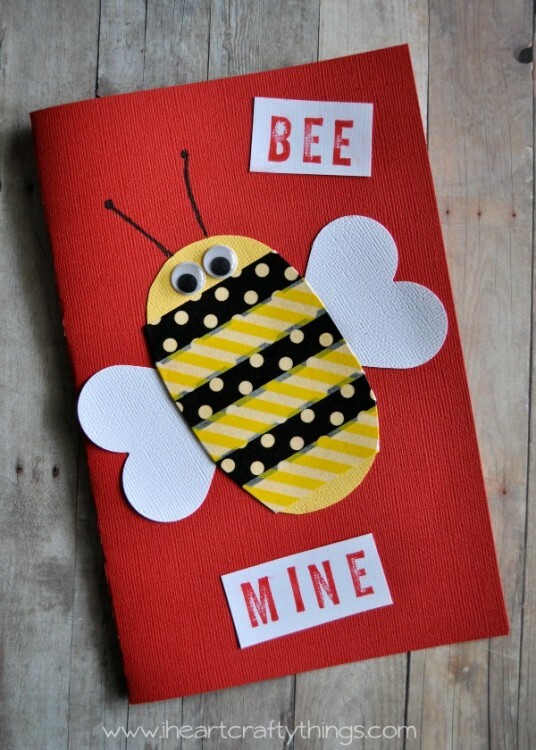 We haven’t made a washi tape craft in quite a while so we whipped out some tape and came up with this Bee Mine Valentine’s Day Card. 1. 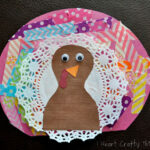 Start by cutting an oval out of your yellow cardstock paper. 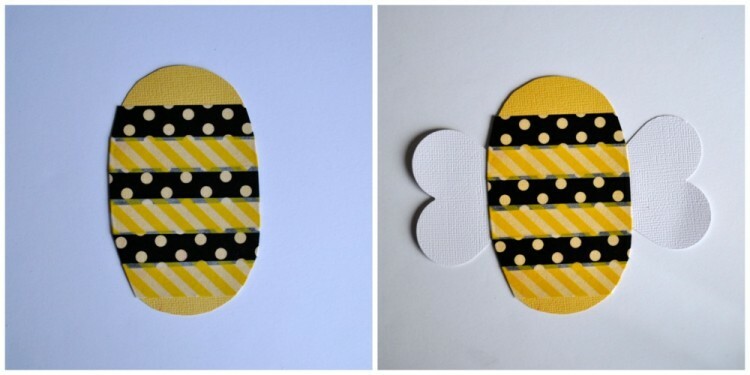 Layer strips of black and yellow washi tape down the bee, leaving some yellow cardstock showing at the top for the bee face. 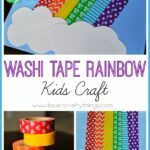 Fold the hang over of the washi tape on the sides to the back of the bee. 2. Use your heart punch to cut out 2 heart wings. Glue them to the sides of the bee. 3. 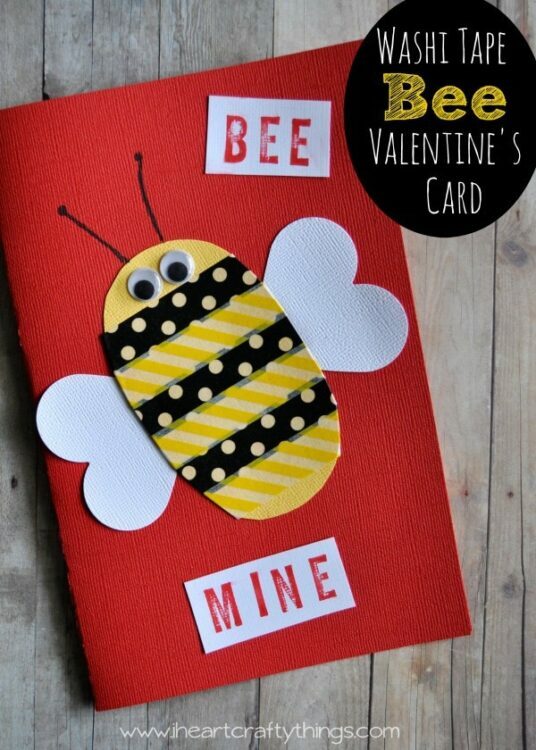 Fold your red cardstock paper in half and glue your bee onto the front of your card. We made our card vertical but you could also make it horizontal. 4. 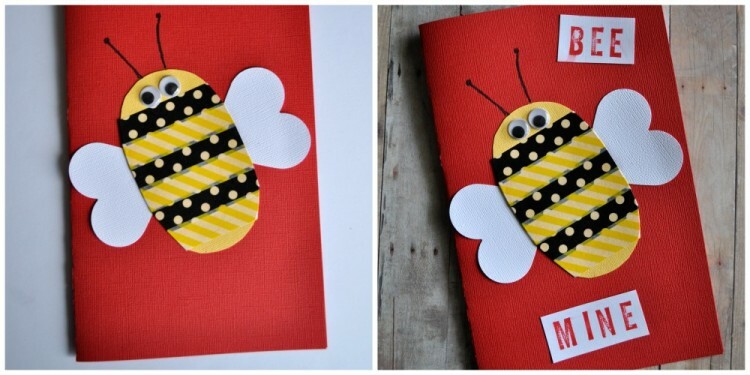 Glue googly eyes onto your bee and use your black marker to draw antennae for your bee. 5. 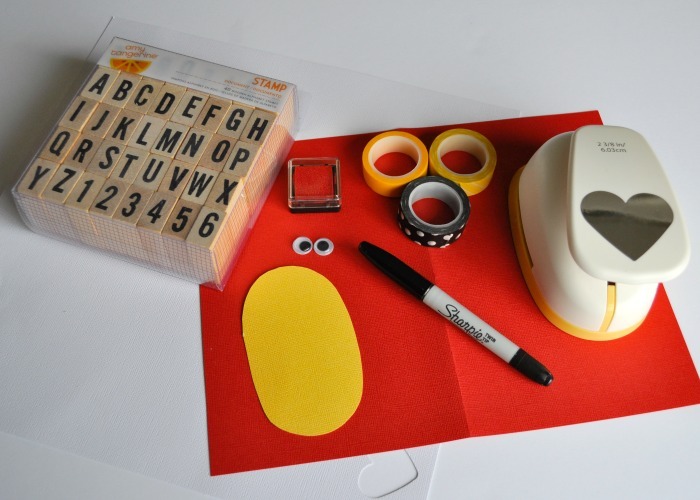 Use your alphabet stamps and stamp pad and stamp the words “BEE” and “MINE” onto your white cardstock paper. 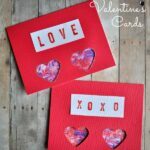 Cut the words out and glue them onto your card. 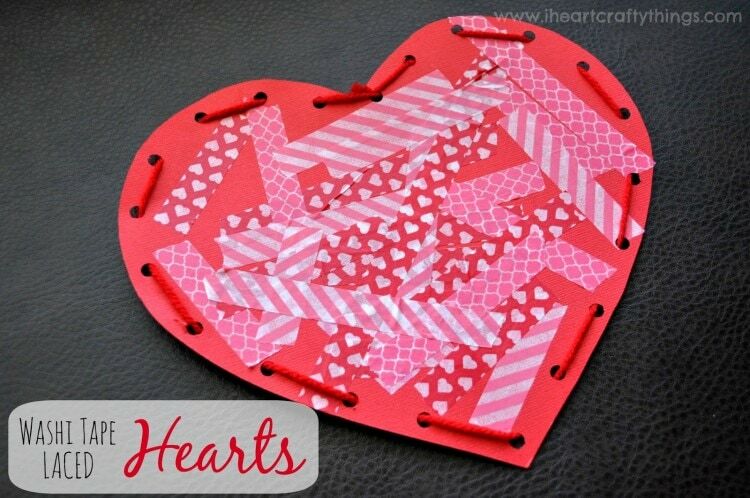 Now all you need to do is write a special message inside the card and you are ready to give it to your Valentine. My kids love to make Valentine’s Cards for their Uncles and Aunts every year so ours are all ready to put in the mail in a couple weeks.